The Q Acoustics 3000 Series A center channel speaker is all important in a home theater surround system because it allows dialogue to be heard clearly and also 'locks' that dialogue to the screen. The 3090C is a dedicated center channel speaker with two 4 inch, Aramid Fiber/Paper cone bass drivers and the 3000 Series, '2 in 1', wide dispersion, Concentric Ring Dome high frequency unit. The 3090C deliver a particularly clear and dynamic sound and acoustically complements any of the 3000 Series models. Removable rear port bungs means it can deliver its outstanding, seamless performance whether it is bookshelf, stand mounted or wall mounted by using the dedicated 3000WB wall bracket. 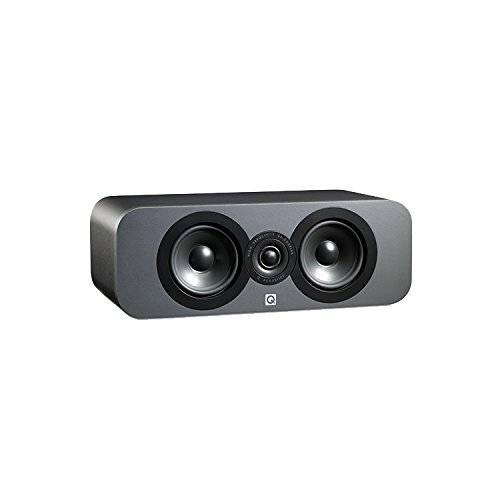 A center channel speaker is all important in a home theater surround system because it allows dialogue to be heard clearly and also 'locks' that dialogue to the screen. The 3090C delivers a particularly clear and dynamic sound and acoustically complements any of the 3000 Series models. If you have any questions about this product by Q Acoustics, contact us by completing and submitting the form below. If you are looking for a specif part number, please include it with your message.